Some years ago, when Big Data had just started making waves across the world, I listened to a data scientist give a speech to a group of businessmen and tech executives in Bengaluru. He was trying to persuade the audience that crunching data can help companies market their products better. He said, his firm once analysed the sales of Band-Aid, and found that there was a strong correlation between its sales and rainy days. Whenever it rains in India, Band-Aid sales shoot up. “We don’t know why. But, it’s a fact. 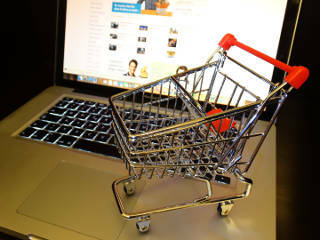 And companies can use this fact to serve their customers better,” he said. In the last few years, the tendency to use such correlations to optimise business operations—and even to innovate—has picked up. “If you are a specific type of customer, a typical argument goes, you will buy a certain type of product, because there is a correlation between the two.” Like all assertions in the world of business, this has also attracted counter assertions. Tyler Vigen, now a consultant at Boston Consulting Group, started charting bizarre correlations on his website, called Spurious Correlations, when he was pursuing a doctorate in law at Harvard. On the website—now a book—you will discover that the US spending on science, space and technology correlates with suicides by hanging, strangulation and suffocation, or that the number of people who drowned after falling from a fishing boat correlates with the marriage rate in Kentucky. More recently, a professor from across the river at Boston, published a piece in Harvard Business Review—ahead of the launch of his latest book—which also questioned managers relying too much on correlation. 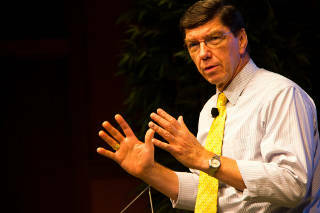 In that piece Clayton Christensen and his co-authors persuaded managers to focus on the jobs to be done instead. Find out what you customer wants to be done—it could be functional, emotional, social or mix—and see if you can get that job done through your bundle of products and services. In Founding Fuel this week, Christensen in an interview with CKGSB Knowledge, talks about his ideas with his characteristic clarity. It resonated with me because India is right now debating a big question around technology—to be specific Aadhaar, the biometric identity and authentication programme, and the set of digital infrastructure built around Aadhaar, including e-Sign, digilocker and unified payments interface. Over a billion people have Aadhaar numbers today, and the government is now redesigning some of its programmes to integrate Aadhaar in an attempt to make its services more efficient. Some of this can significantly change citizen-state dynamics. So, it’s no wonder that it has led to intense debates. These debates tend to be too emotional and polarised. The final piece that I would like to point out is D Shivakumar’s column The Gist, where he breaks up the books he benefitted from into bite-sized slides. 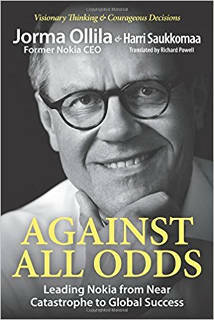 This time around he has pored over Nokia’s former CEO Jorma Ollila’s book, Against All Odds. Shivakumar is uniquely positioned to share his lessons from the book: He was managing director at Nokia India, before he moved on to Pepsico. Going through the slides, it struck me that technology and innovation, while they are important, are only two pieces of a large puzzle. Some of the other pieces—leadership, culture, organisational design—might be even tougher to crack. Ollila has a lot of lessons to share. And Nokia’s subsequent fate also serves as a grim reminder that despite doing our best, the advantages we enjoy are only temporary. I suppose, it’s this knowledge that drives thought leaders like Clayton Christensen and Arun Maira to keep pushing us. We should listen to them. 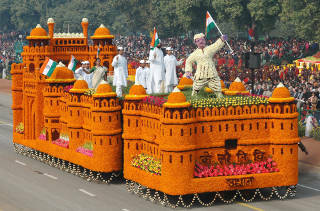 Do write in with your comments and feedback. You can reach us on Twitter, Facebook or the comments section on www.foundingfuel.com. We’d love to hear from you. The authors Scott Anthony and Evan I. Schwartz say five characteristics distinguish transformational leaders: they tend to be “insider outsiders”; they use culture change to drive engagement; they strategically pursue two separate journeys; they communicate powerful narratives about the future; and they develop a roadmap before disruption takes hold. What’s so new about news? In this insightful essay, Arthur Asseraf says news is less about truth and falsehood, and more of an attempt to organise time to locate ourselves within a changing world. Reading Maira’s essay, one might make an attempt to put the blame on the other side that doesn’t want to participate in deliberative democracy. This piece by Matthew Hutson throws some light on the debates in the US, which applies to India too. Michael J. Coren tells us how Elon Musk’s approach to problems is similar to Richard Feynman’s. Rhett Allain talks about why educational institutions should go beyond the traditional lecture by creating an environment in which students actively participate in class. 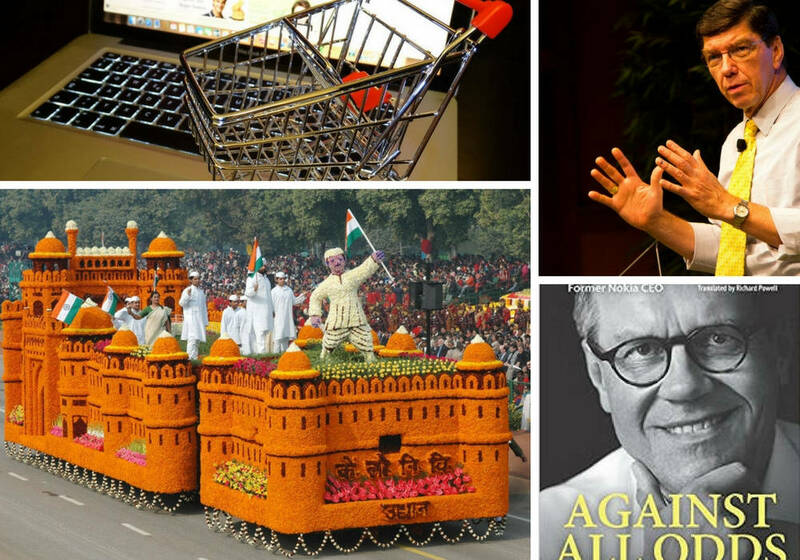 Flipkart, Snapdeal, Paytm and other Indian unicorns are in the news again. 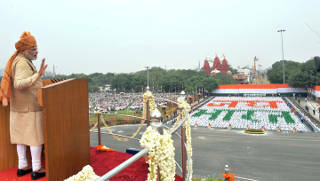 It’s time to look back at some of the pieces by Haresh Chawla on the subject.